If you haven't caught the first two, they're both airing on Syfy just prior to the premiere of Sharkado 3!!! That's right folks, you can get yourself six telecast hours of angry, flying sharks who have nothing better to do than to gobble up people as they fall from the sky! 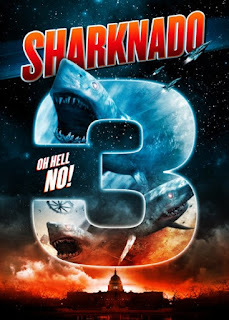 First with Sharknado, then Sharknado 2: The Second One, and you can wrap it all up with Sharknado 3: Oh Hell No!. This time around, Sharknado 3 Oh Hell No! 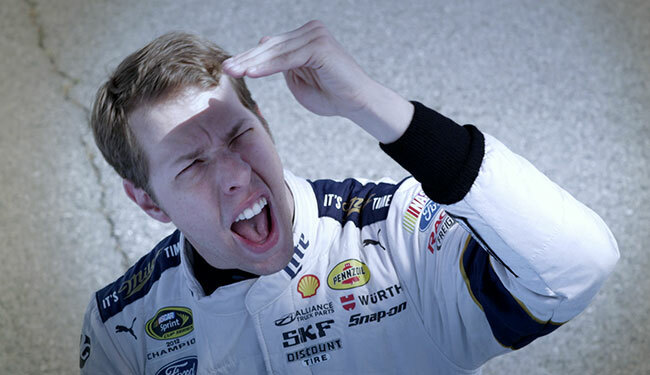 has a HUGE set of cameos from famous actors wanting in on the fun to, believe it or not, NASCAR drivers like Brad Keselowski and Joey Logano. Now tell me you would not want to see Brad get eaten by a flying shark! Other notables include Bo Derek, Frankie Muniz, David Hasselhoff, Holly Madison, Rick Fox, Cindy Margolis, Penn Jillette, Teller, Mark Cuban, Chris Jericho (as Bruce! ), Michael Bolten, Jerry Springer, Ann Coulter and a whole lot more shark bait that will be adorning the plate of the giant fish! This is just to name a few!!! If you hurry, you can still catch a few of these instant classics!!! Come on, you will be sorry you missed this television event of the week! OK, event of the 2 hours its on, on Syfy. But still, crank out the popcorn, beer, coffee or what ever guilty pleasure food you like, kick it, give up two hours to nothing but zany bullsh**! and enjoy the time off from life.